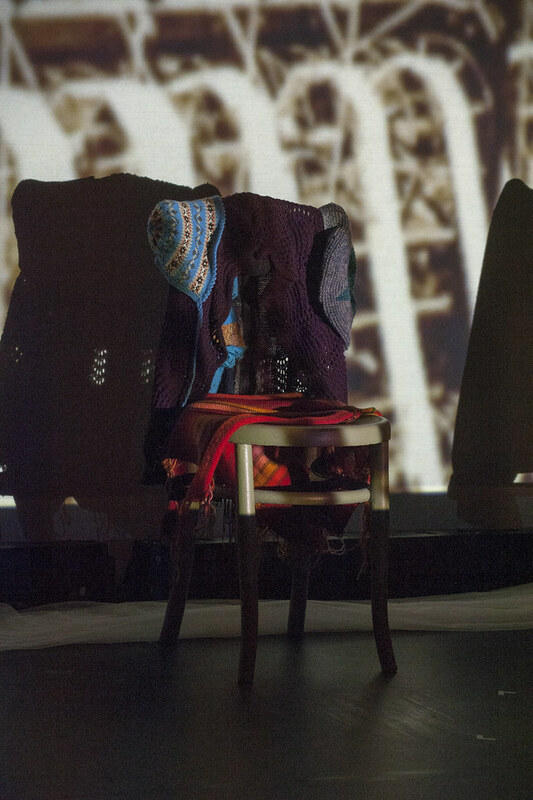 A play about women, work, and knitting. 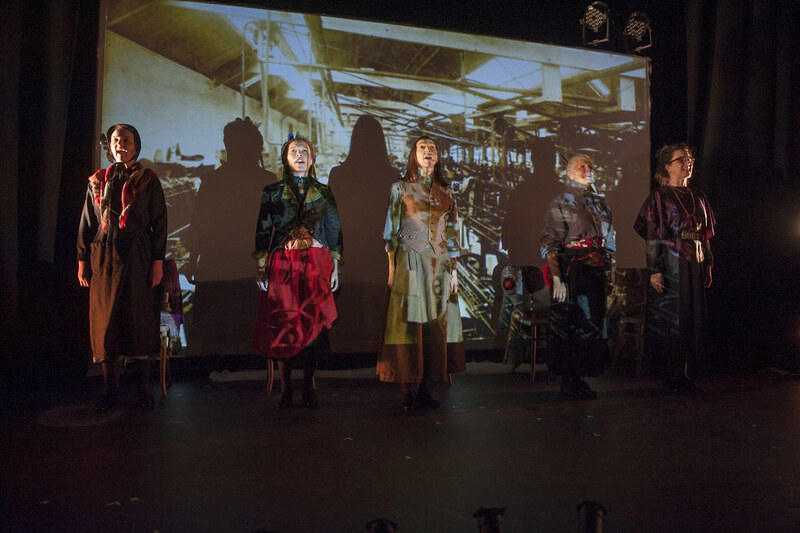 Threads weaves the stories, historical, verbatim, and imagined into a multi-stranded piece of theatre using music, song and dance. From 19th Century millworkers to modern day knitting clubs, writer Sylvia Dow brings to life the history of knitting in the borders and the threads of life, fate and destiny which bind us all. 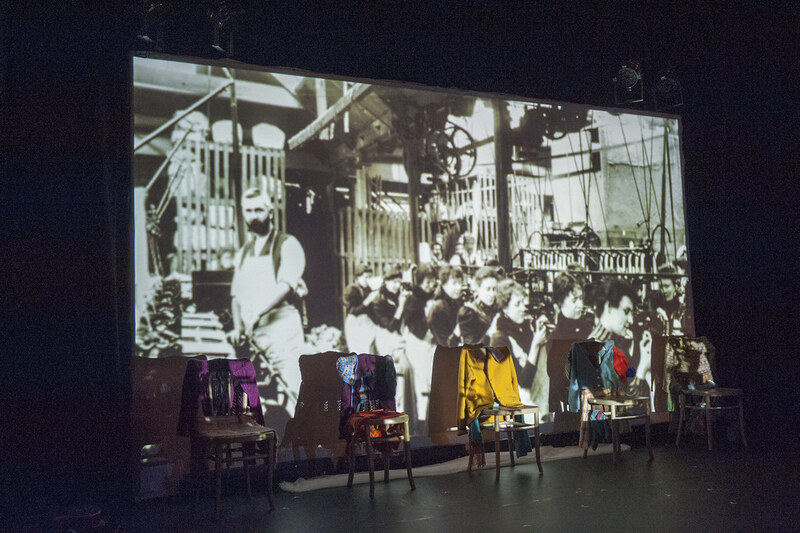 The play is the outcome of a longer project Knit Two Together, hosted at Heart of Hawick (2012) and funded by the Heritage Lottery Fund (HLF), in which Stellar Quines and Sylvia Dow engaged the local community and their stories in the development of the play. 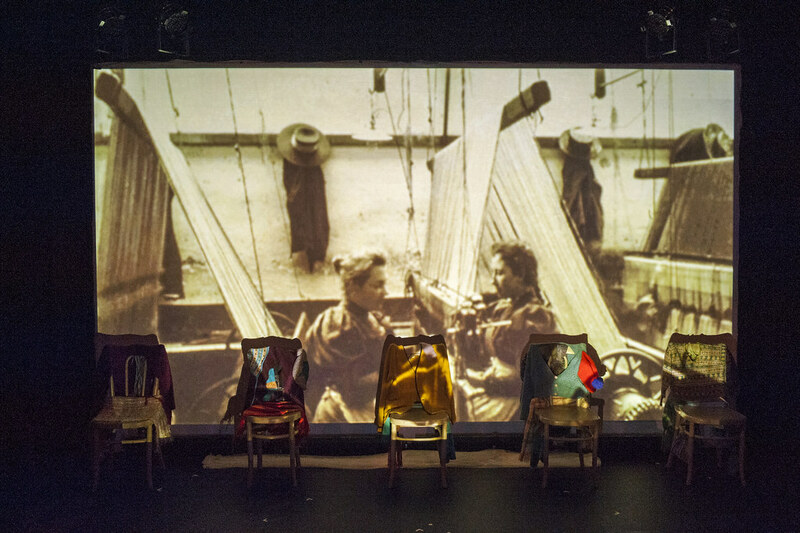 Sylvia Dow’s first full length play A Beginning, a Middle, and an End toured Scotland and the North of England in 2012 and was initially presented during a Stellar Quines Rehearsal Room. Sylvia was one of the Traverse Fifty writers and has had work presented at the Traverse and Oran Mor. Supported by Creative Scotland Lottery Funding, Borders Council, Eastgate Arts, Heart of Hawick. After a long working life in the arts, Sylvia began a new career path as a playwright. She has had short plays performed in the UK and in Mexico. 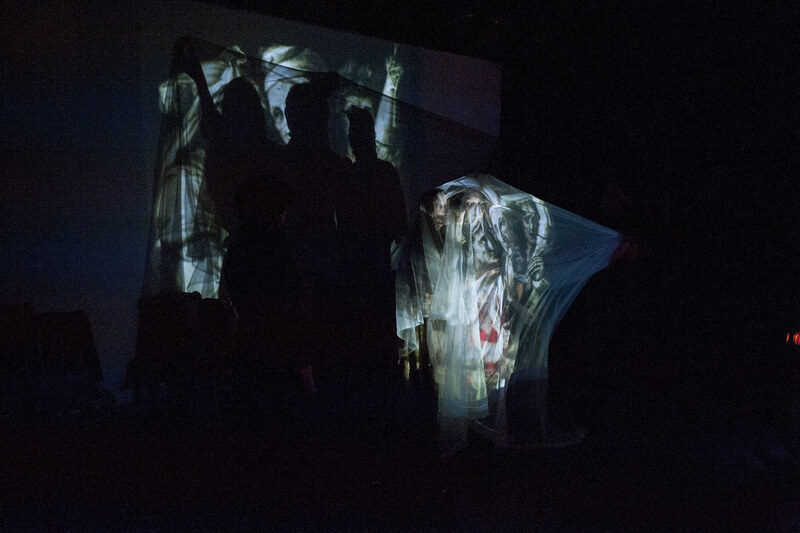 Her first full length play A Beginning, a Middle, and an End toured Scotland in 2012, and Where is Otto premiered at the Visibility Festival in Turkey in the same year. Blinded by the Light, was commissioned from the Traverse Theatre, had a first outing as part of the theatre’s Edinburgh Festival 2014 programme, and It’s Only Words was seen at Oran Mor’s A Play A Pie and a Pint. She is delighted to be working wirth Stellar Quines a company she has long admired. Muriel has over forty years of experience in theatre both as an actor and director. 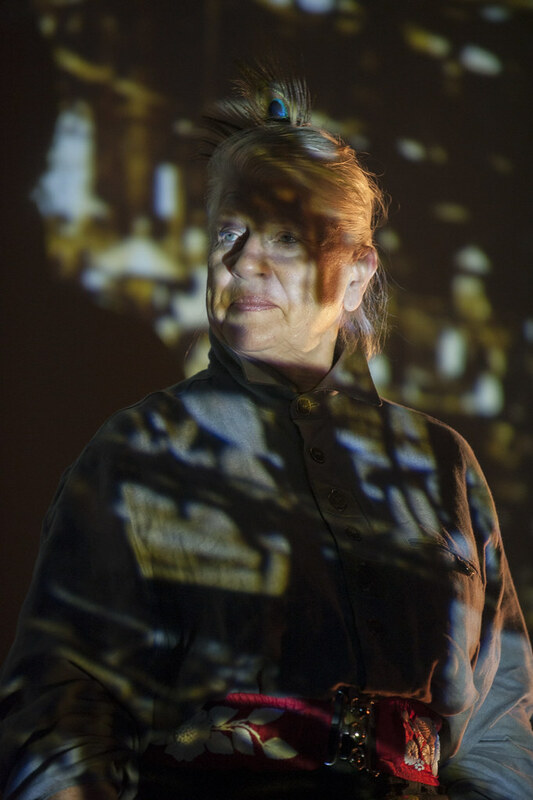 She was Associate Director of the Royal Lyceum Theatre, Edinburgh and is one of the co-founders of Stellar Quines Theatre Company, where she has been Artistic Director since 1996 and has directed many acclaimed productions for the Company. 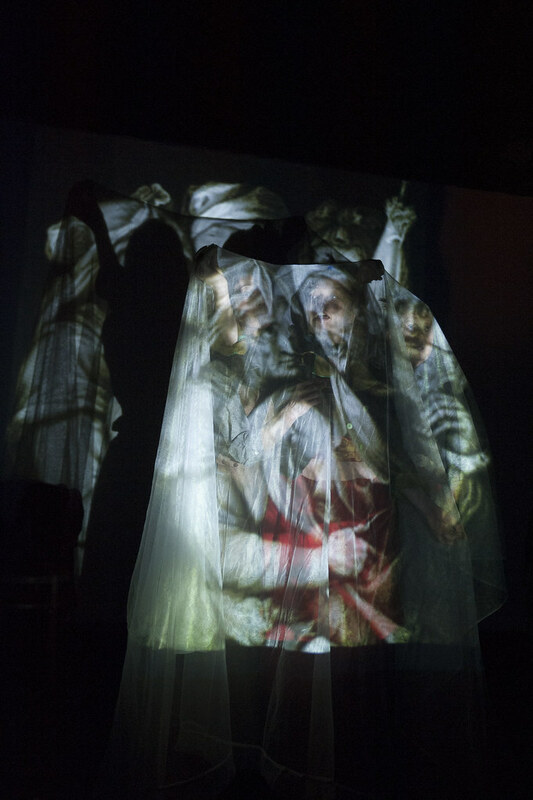 In 2007 Muriel co-directed the award-winning The Unconquered by Torben Betts, and then directed Judith Adam’s adaptation of Muriel Spark’s The Girls of Slender Means at the Fringe Festival, 2009. 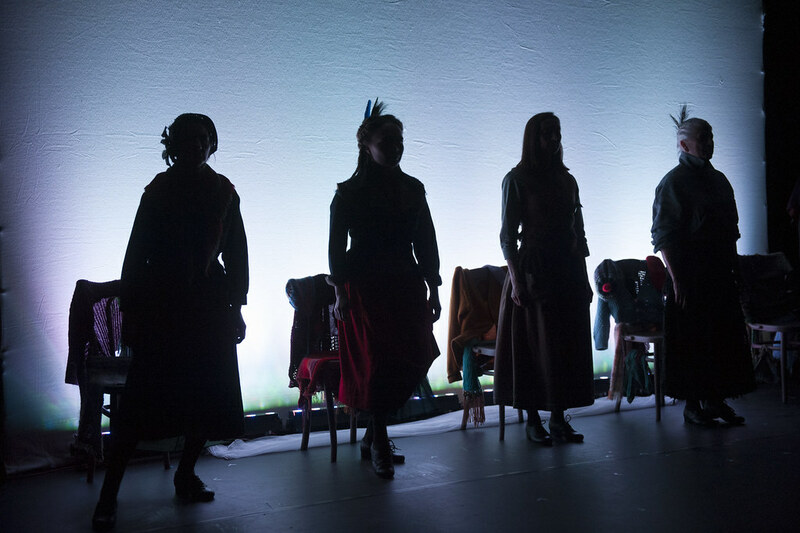 Muriel won the Critics’ Awards for Theatre in Scotland Best Director award for Stellar Quines’ production Age of Arousal by Canadian playwright Linda Griffiths, a co-production with the Royal Lyceum Theatre, Edinburgh. Robert studied music at RSAMD and Edinburgh University and has worked extensively in theatre as a musical director, composer and musician. He has toured abroad with shows including The Rocky Horror Show and Blood Brothers and composed music for radio and television. Most recent work includes a UK tour of A Funny Valentine ( a biographical story about Chet Baker the jazz trumpet player) with Mike Maran and Colin Steele, Il Panico Di Pantalone and Dangerously Yours for Lung Ha Theatre. Robert won The Critics Award For Theatre In Scotland ( Best Use Of Music) for Man Of La Mancha at the Royal Lyceum. He was nominated for the same award for Nighthawks, a jazz opera written in collaboration with John Bett based on the painting by Edward Hopper. Annie learned to play the pipes in her hometown of Fort William and trained at Glasgow School of Art. Her early career saw her serving a musical apprenticeship busking on the streets, a residency on the Waverley paddle steamer and performing in folk clubs. She was a founder member of the renowned Scottish band Iron Horse and has toured worldwide and recorded extensively, including two solo albums, her most recent being The Bell. Molly trained at RSAMD and has been an actor for over twenty years . During that time she has received a commendation at the Ian Charleson/National Theatre Awards, been nominated for a Stage Award for Acting Excellence and been nominated for a Best Actress CATS award. 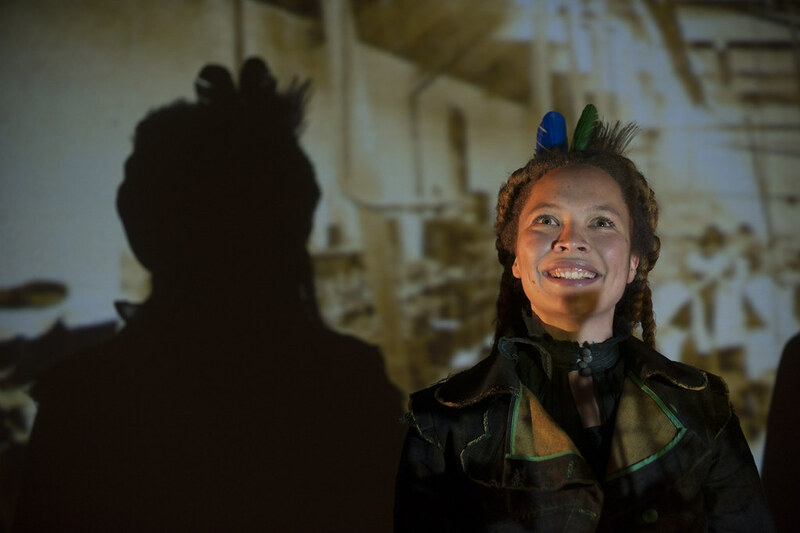 Molly was one of the Traverse Fifty writers and she was Associate Director on 13 Sunken Years – a co-production between Stellar Quines and Lung Ha Theatre Companies, in association with the Finnish National Theatre. It was also part of the Made in Scotland Showcase 2014. Molly has translated into Scots and will direct Thérèse and Pierrette at Holy Angels (adapted by Serge Denoncourt from the novel by Michel Tremblay) for Stellar Quines Rehearsal Room at the Traverse Theatre in November. Theatre inc: Lot and his God (Citizens Theatre); The Garden (Sound); Crazy Jane (Birds of Paradise); The Effect (Firebrand); Miss Shamrock’s World of Glamorous Flight (Oran Mor); A Slow Air (Borderline); The Government Inspector, Tam o’Shanter (Communicado); Pass the Spoon (Magnetic North); Fleeto/Wee Andy (Tumult in the Clouds, Adelaide Fringe Best Performer); Marilyn (Lyceum/Citizens); While You Lie, Gorgeous Avatar, Heritage, Tressel at Pope Lick Creek, Knives in Hens, The Speculator, (Traverse); Tir na nOg (Fringe Best New Musical); A Christmas Carol, Man of La Mancha, Cuttin’ a Rug (Royal Lyceum Theatre Company); Othello, Cinderella, Wizard of Oz (Citizens), Tutti Frutti (National Theatre of Scotland); Liar, Sunset Song, A Scot’s Quair (TAG), Vassa (Almeida); Shining Souls (Old Vic). Paksie Vernon trained at The Royal Conservatoire of Scotland. Theatre credits include James and the Giant Peach, Little Sure Shot, The Jungle Book (West Yorkshire Playhouse); Emancipation Acts (Glasgow Life); The Changeling (Oran Mor Glasgow); Victory, Twelfth Night, Uncle Vanya, Mourning Becomes Electra, The Importance of Being Earnest (RCS). Television credits include Shetland (BBC), EVE, MI High (CBBC). Theatre credits include A Respectable Widow Takes to Vulgarity (Traverse Theatre / 59E59 Theater/ Oran Mor); The Silence of Bees; The Promise (Random Accomplice); The Tree of Knowledge (Traverse Theatre); Promises, Promises (random Accomplice); Façade (Auricle); Les Liasons Dangereuses, Death of a Salesman (Royal Lyceum Theatre, Edinburgh); Baby Doll, Venice Preserved (Citizen’s Theatre); Wit (Stellar Quines). Television credits include Grandpa in my Pocket series, Monarch of the Glen (BBC), The Key, Key Productions. Joanna has done various radio series for BBC Radio 4, BBC Radio 3 and BBC Scotland including most recently Elizabeth Taylor Short Stories and The Midwife’s Daughter, BBC Radio 4.